I wanted to make some burgers to use for meals throughout the week, but I was also hungry for breakfast. This is the story of how Burger Eggs were born! This recipe is great because you can get two things done at once and only dirty up one skillet. Lately, I’ve been a huge fan of Turmeric. The awesomeness of this spice is nothing new. People have been raving about its therapeutic qualities for centuries. It has long been used in Chinese and Indian medicine for its anti-inflammatory properties. Turmeric’s therapeutic qualities are especially helpful for those who suffer from irritable bowel syndrome (IBS), rheumatoid arthritis, and cystic fibrosis. It contains a potent antioxidant called curcumin that has been shown to help prevent colon cancer. Colon cancer is regarded as one of the more aggressive forms of cancer in the medical community because cell turnover in the colon is rapid-paced. If mutated cells begin to grow, they can spread quickly because the cells are dying and regenerating constantly. The antioxidant properties of turmeric help locate and destroy these mutated cells before they can replicate and spread throughout the colon. I have a family history of colon problems and my own digestive system has been “less than stellar” over the course of my earthly existence. So I am SUPER interested in food medicine that will increase my chances of living cancer free! Turmeric is part of the ginger family and you can buy it as a whole root if you choose. It tends to be a bit more expensive in that form. I get powdered turmeric. It’s BRIGHT YELLOW, which makes me super happy. Cause I love yellow. It has a mild smell with hints of ginger and orange and it tastes a bit peppery. It’s not overwhelming at all. 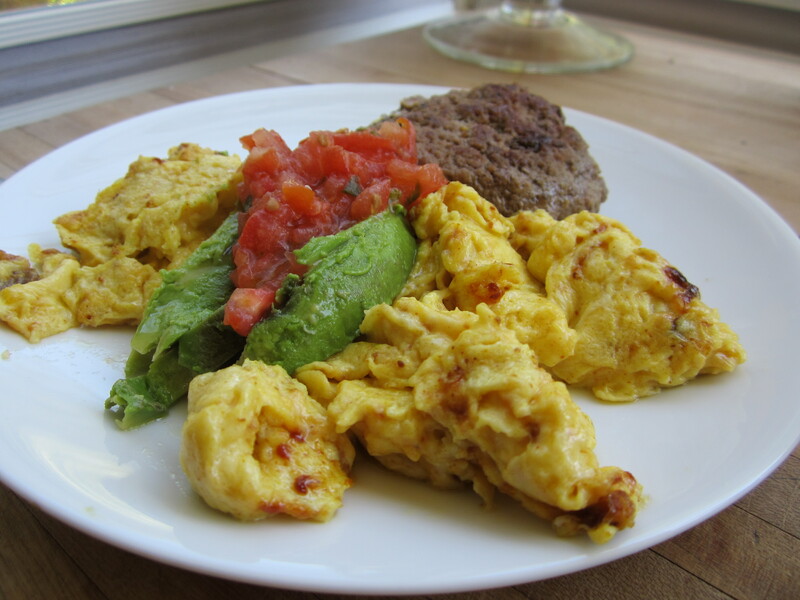 My favorite way to get my turmeric fix is by whisking it into my eggs. I find it adds a depth of flavor that is quite pleasant as well as a beautiful color. 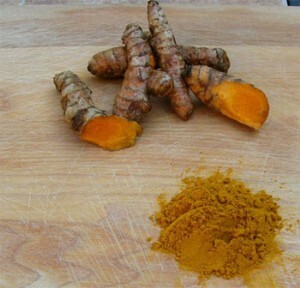 Curry powder and curry dishes are also a terrific source of curcumin. Turmeric is a primary spice used in curry! I suggest you start adding turmeric to your daily diet routine. A sprinkle here or there will not hurt… actually the opposite! It will heal. In a bowl, use your hands to mix together beef and spices. 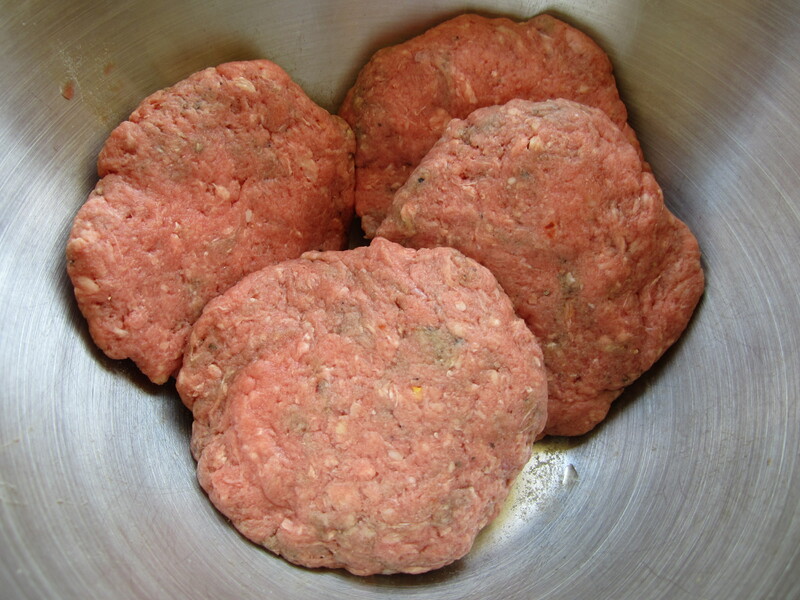 Form them into 4 equal patties. 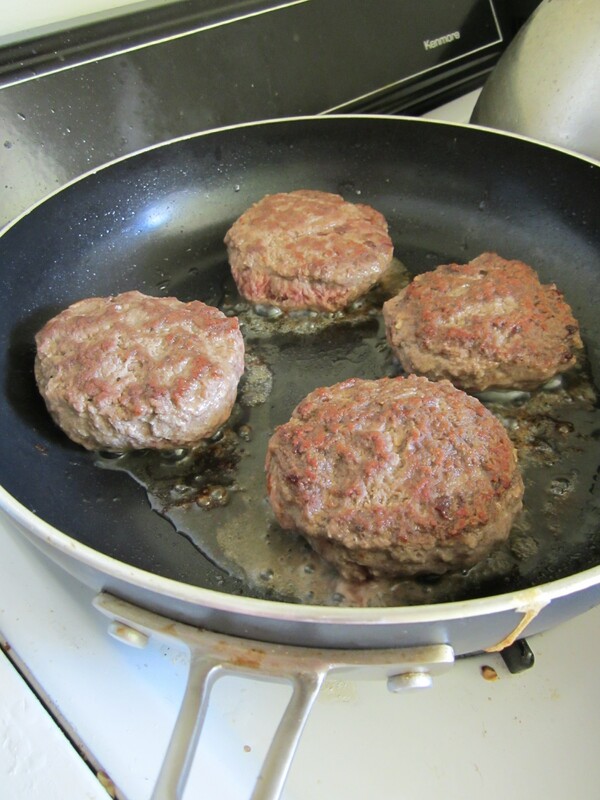 Cook patties in skillet, about 4-5 mins each side, depending on how “done” you want them. In another bowl, whisk together eggs and turmeric. Take burgers out of skillet when they reach your desired level of done-ness. Set aside on a plate. Immediately add eggs to skillet, cooking eggs till done. Top with some avocado and fresh sauce like bruschetta or salsa.